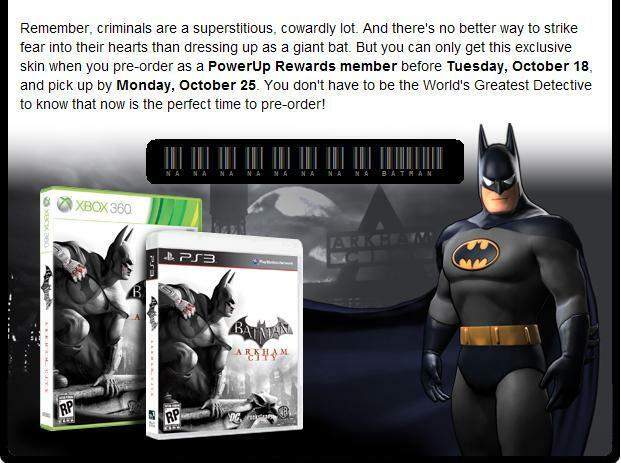 Everyone I know is excited about Batman: Arkham City. The first game got everything about being Batman right. So a version that is bigger and filled with more villains and gadgets sounds amazing. The pre-order information is coming in fast and furious right now with all sorts of surprises. The biggest surprise is probably the PS3 exclusive Sinestro Corps costume that will come with the Green Lantern Blu Ray. Yesterday I got an email from Gamestop talking about one of the other pre-order skins. 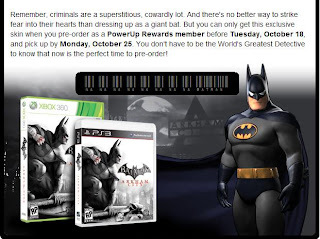 If you pre-order from Gamestop and you’re part of their Power Up Rewards club you’ll get a Batman the Animated Series skin. This is in addition to the Joker’s Carnival challenge map that you’ll get just from ordering at the store. I love some BtAS, I have the entire series on DVD. In fact I’ve been watching it every night on the Hub before I go to bed. I don’t think it’ll get much use when I’m playing Arkham City though. Unless switching to the animated skin suddenly cel shades everything else in the game I think Batman will just stand out too much. It’d be like watching a superhero Roger Rabbit. The toon Batman taking out all the real people bad guys. Anyway, if the animated skin is something you must have, now you know where to get it. 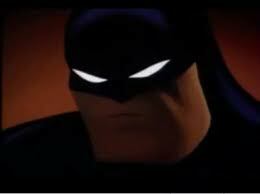 Personally I’ll keep my fix of Animated Batman restricted to late night Hub viewing. Flash Friday: Why You No Run? What kind of Ice Cream?